Coal communities know that carbon pollution is damaging, they just need a viable Plan B. "Despite a lot of hot air from members of the Federal Government on the subject of energy policy recently, there has been very little in the way of developing a feasible plan to address the needs of the communities most affected by the looming switch to renewables." I owe a lot to coal. My father was a coal miner, and I started my career as an electrician in the Queensland coal mines. Coal put food on the table in the house I grew up in. It put me through an apprenticeship and it provided entry to the trade I've spent my life working in. This week's closure of Hazelwood Power Station in Victoria's Latrobe Valley has been predicted for more than a decade now. The final timing of the closure was not a decision made in this country. Instead, the French company who bought it have -- as our market system incentivises -- wrung every last dollar out of their investment before letting it go. Through the work of unions, the local community and the Victorian Government, some measure of justice has been achieved for the men and women who work there, with transition to other local power generators and incentives for businesses to move or set up in the valley. But these are not permanent solutions to a coal industry in structural decline. Nobody loves coal for coal's sake. But renewables need to provide those same opportunities if we are to manage our nation's energy transition properly. Contrary to the attention-seeking claims of former Prime Minister Tony Abbott, whose call for a Federal Government bailout to keep Hazelwood running was clearly designed to give people false hope, this will not be the last time a legacy coal plant is going to shut its doors. It is also not the last time a closure will threaten to devastate a regional community. Unfortunately, at a national level, there remains a gaping policy vacuum where there should be a plan for dealing with this looming crisis. We can no longer escape the truth that thermal coal -- the kind used to generate power -- is in decline. The largest export buyers, India and China, have stopped or dramatically scaled back their investment in coal-fired power. Renewable technologies are being implemented around the globe and will power our future globally. 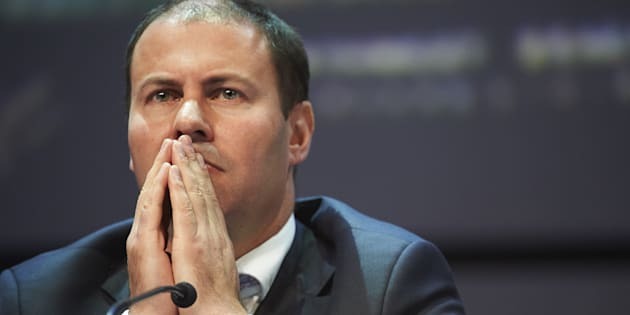 Despite a lot of hot air from members of the Federal Government on the subject of energy policy recently -- most attempting to blame renewables for the energy woes experienced by South Australia -- there has been very little in the way of developing a feasible plan to address the needs of the communities most affected by the looming switch to renewables as the core technologies powering our country. While inner-city environmentalists celebrate the closure of Hazelwood as a win, they remain largely unaffected by the consequences of a rough landing for a community reliant on fossil fuels. The insistence of people living in towns and cities, where fossil fuels are a major generator of jobs and economic activity, that the survival of the sector be supported, are too often ignored as stemming from ignorance or self-interest. The fact is, people in communities like the one I came from know very well that coal is environmentally damaging. They know about coral reef bleaching and climate change. On the other side, they also know that coal is the only industry that has ever paid for their houses, fed their families and provided job opportunities for their children. If skilled workers who have dedicated their lives to the coal industry can apply their skills to renewable technologies with the same level of job security and confidence for the future, they will be overjoyed to do so. For now, it is up to state and federal governments to provide meaningful leadership on this issue. Calls to spend hundreds of millions of dollars on existing operations without a robust plan for just transition are not only fundamentally wasteful, they miss the point. As a nation, we must actively invest in the regional areas that are transitioning away from fossil fuels with new ventures and seed funding for renewable technology projects. It is only through these actions that we can achieve a truly just transition, where people in coal-dependent communities can know their future can be as secure with renewables as it ever was with coal.